Victor Rios serves as the Business Manager of Neighborhood Charter Schools. As part of the network, he supports NCS: Harlem and NCS: Bronx (opening August 2019). Victor has worked in the operations and finance realm of charter schools for over ten years. He attended Lehman College, where he pursued a degree in Business Administration. 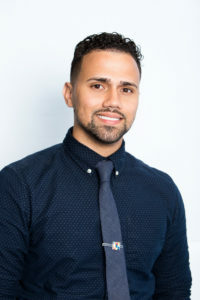 As a Latino who grew up in the South Bronx, he is extremely passionate about serving our youth and providing them with the necessary resources they need in order to be change-makers in their community. He has dedicated his entire career to the non-profit sector and is a huge advocate for charter schools. While Victor is a proud Bronx native, he is also an avid NY Mets fan!